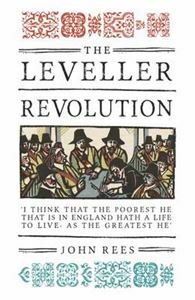 The Levellers, revolutionaries that grew out of the explosive tumults of 1642 and the battlefields of the Civil War, are central figures in the history of democracy. In this thrilling narrative John Rees brings to life the men - including John Lilburne, Richard Overton, Thomas Rainsborough - and women who ensured victory at war, and brought England to the edge of radical republicanism. From the raucous streets of London and the clattering printers workshops that stoked the uprising, to the rank and file of the New Model Army and the furious Putney debates where Lilburne argued with Oliver Cromwell for the future of English democracy, this story reasserts the revolutionary nature of the 1642-48 wars, and the role of ordinary people in this pivotal moment in history. The legacy of the Levellers can be found in the founding ideas of the American Revolution as well as in the strugglers for freedom and democracy across the world.